The team at Willowbrook Orthodontics is proud to offer the latest developments in alignment technology including the revolutionary Invisalign system. Dr. Yue works closely with each of our patients to develop a customized treatment plan to move teeth into their proper alignment. At your first appointment, we can determine if this effective and convenient teeth-straightening system is a good fit for you or your child. Invisalign is an alignment system for teeth that utilizes custom-made trays that fit over the teeth to slowly push them into place. The teeth are gradually moved into their new positions, step-by-step. The trays or aligners, as they are also called, are clear and removable. This makes this treatment option less visible than conventional braces and much more convenient as the trays can be removed when eating and when cleaning the teeth. Patients who are eligible for this treatment option begin by having images taken of their mouth along with an impression or a mold of their teeth so the trays can be made. A laboratory then creates a series of custom aligner trays for that patient. Each set of aligners is worn for approximately 22 hours a day for one week before moving on to the next set in the series, as the teeth are gradually moving. The length of treatment and number of trays used depends on the individual: Fewer than 10 aligners or more than 20 may be necessary depending on the amount of required refinement. Dr. Yue will require regularly scheduled checkups to ensure treatment is progressing as desired. Teenagers who are good candidates for treatment with aligners can choose Invisalign Teen. This system works in the same way as regular Invisalign with just two main differences. Invisalign Teen aligners come with built in eruption tabs to save space for permanent teeth that have not yet come in. The aligners also have tiny compliance indicators built in which fade with use. These indicators are there to ensure the aligners are being worn as directed. Invisalign Teen fits seamlessly into a busy teen's lifestyle as there are no food restrictions to worry about nor any concerns with appearance as the clear aligners are nearly undetectable. The aligners are invisible, removable and comfortable. Patients can get a healthy smile without most people noticing. While Invisalign is a great option for patients, it does not work in all cases. 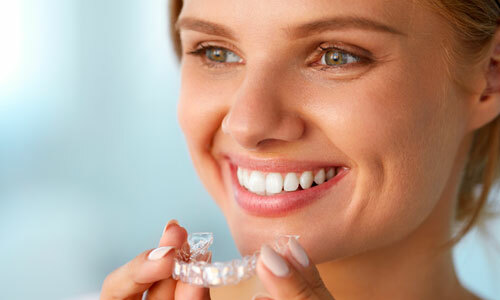 A consultation with Dr. Yue will determine if Invisalign is right for you. Each aligner is worn weekly, removing them to eat, drink, brush and floss. The aligners are created with 3D computer imaging technology and custom-made for your smile. As the aligners are replaced to the next series, your teeth will move little by little. We will provide you with a specific schedule that supports your individual treatment plan. Just as the treatment type and time will vary, so too will the cost range, depending on the individual needs and goals of the patient. Is Invisalign as effective as traditional metal braces? Like braces, Invisalign effectively straightens teeth. 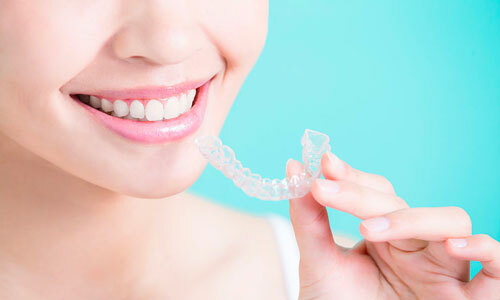 A consultation with Dr. Yue will determine if Invisalign is right you. Treatment can be as quick as 3 months in minor cases to as much as 3 years for severe cases. What materials are the aligners made of? Are they comfortable? Invisalign aligners are made from lightweight BPA-free material that is designed to fit in the patient’s mouth. 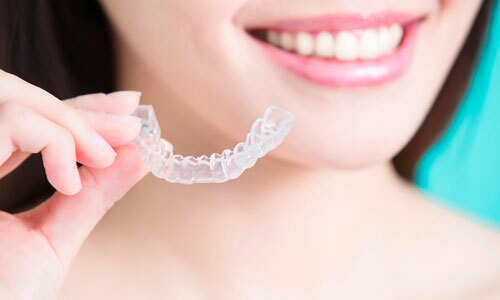 Although there may be discomfort due to starting a new set of aligners, patients found them to be significantly more comfortable than metal braces. What foods should be avoided during Invisalign treatment? Aligners are removable, so you can eat whatever you want during the entire course of treatment. Simply take the aligners out before each meal, brush when finished eating, then place aligners. Dr. Yue and his staff are the best! Very thorough and take the time to explain treatments and answer any questions. My treatment is going well.